Czechs will help Chinese develop their ice hockey skills before the 2022 Beijing Olympics under the memorandum signed by Martin Urban, general secretary of the Czech Association of Ice Hockey (CSLH), and his Chinese counterparts on Saturday. The memorandum plans the organization of training camps for young ice hockey players and the exchange of coaches and methodological materials. The cooperation will relate to the Czech club Bili Tygri Liberec and the Chinese Kunlun Red Star, which has been playing in the Kontinental Hockey League (KHL) since last year. “This is a memorandum of cooperation between the Chinese ice hockey association and our ice hockey association,” Urban said. As a large country, China has a big potential to be developed in ice hockey. It has asked Canada, Russia and the Czech Republic for cooperation. The project also wants more children to play ice hockey in China. Everything is targeted on the 2022 Winter Olympics. As its organizer, China would like to take part in its ice hockey tournament. “It is an interest of the International Olympic Committee that the organizer is represented in collective sports. Then China will certainly want to play a dignified role in this,” Urban said. The memorandum sets down the spheres in which cooperation may be possible. Agreements will then be signed for specific projects. Urban said a Chinese ice hockey delegation would visit the Czech Republic on May 22. The information recently appeared that the Chinese CEFC Group, that has acquired the Czech football club Slavia Praha, would like to enter the Liberec ice hockey. Not too many people knew about ice hockey in Chile until the last few years. This year Chile will take part in the Pan American Ice Hockey tournament for the first time, ahead of the Pan American Ice Hockey Tournament we had an opportunity to speak with the President of the Federación Chilena de Hockey en Linea y en Hielo. How did ice hockey start in Chile? 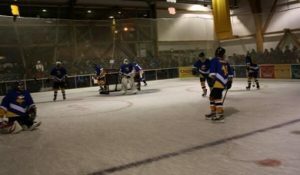 Ice hockey started in Chile in Punta Arenas and Santiago both at the same time. When did you become President of Federación Chilena de Hockey en Linea y en Hielo? On February 2005, the Chilean Ice Hockey Federation, an affiliated member of IIHF, was legally constituted. I was president until 2009. Then, in 2014 we reactivated the functions of the Federation after being closed from 2009 to 2014, without activities and without a directions. Why has the game of ice hockey taking so long to developed in Chile? Firstly, because in Chile inline hockey is played and the other reason is the lack of ice hockey rinks in the country. Very little ice hockey is played because inline hockey players are not attracted to the game of ice hockey. How many ice rinks are there in Chile? We have no Ice rinks in Chile only recreational ice rinks. How many ice hockey players are there in Chile? In Santiago approximately 30 ice hockey players. In Punta Arenas, there are more players because they have been entering the school system and motivating the children to play ice hockey. The equipment is expensive. The people that bring equipment have to recover there investment and expenses. It is very expensive sport to play. What Changes are you going to try to make to improve Ice hockey in the country? To promote ice hockey after participating in the Pan American Ice Hockey Tournament. Motivate children to play ice hockey. Obtain sponsorship to develop ice hockey. Find support in the diffusion of ice hockey. Promote ice hockey in schools for all ages. The Copa Invernada Tournament is a annual 3 on 3 Tournament played in Punta Arenas, Chile, Do you have any plans to improve this tournament in the future? Until there is a ice rick with official measurements or bigger than the one’s we have in Chile, we will continue playing 3×3. Hopefully, someone wants to invest in ice hockey in our country, on a bigger ice rink where we can play and promote the game in schools. In Chile, investing in individual sports and new sports have to continue to wait for someone to wake up and be interested in investing. Right now We would have to win something big to be considered as a profitable investment. Chile Men’s National Ice Hockey Team is going to make their debut at this years Pan American Ice Hockey Tournament. How did this come about? The Chilean team that competes for the first time in the Pan American formed with players from Punta Arenas, Santiago and Chilean players living outside Chile. Many good players turn us down and decided not to go they believe that they were not prepared for this challenge. Will the Men’s National Team team be all inline hockey players or will it feature some local ice hockey players? Many of the ice hockey players are inline hockey players but we have some who have only played ice hockey. Are there any future plans to a Chilean ice hockey League? The plans to make a league in Chile are very difficult …. Punta Arenas ice rink is very far from Santiago. We did a championship with inline hockey players who have been playing hockey for a longer time rather than the ice players, it was very entertaining. Playing strategies are dominated by inline hockey for years they have been practicing. I think it would be the great motivation to be in constant leagues or championships, so that the training would have a purpose. When you are done being President what do you hope Chile ice hockey will look like? 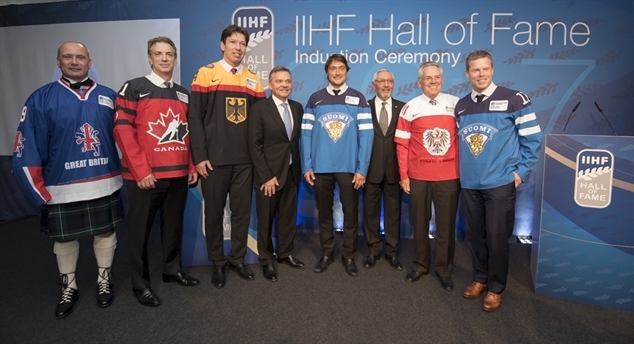 When I am finish being president of the federation, I hope that the leaders and players of inline hockey and in ice hockey can unite and work together with the same aim over the personal interests. I think there is a lack of unity and interest in a common good. I hope that hockey continues to grow, that more professionals are willing to invest time in obtaining the resources. That there are more schools and more rinks where children can skate. Personally, I hope to continue to teach ice hockey and train players who can then become trainers themselves. Also, I hope we can have a bigger Ice rink with the proper facilities. That hockey does not die and continues to grow so that we can have a lot of hockey for many years. May this Pan American Tournament be the first of many. A dream that will be …. we have wanted to play in a championship for at least one year. 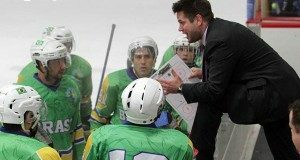 The 35-year-old American, Jens Hinderlie, lives in Rio de Janeiro and has been coach of the Brazilian Ice Hockey Team since 2015. In the first campaign, he led the country to the unprecedented bronze medal at the Pan American Games in the City from Mexico. Now, about to participate in another edition, he details his experience alongside the Brazilian team, the challenges of the sport and expectations for the competition, which takes place between June 5 and 11 in Mexico again. In 2015, Brazil won its first medal in ice hockey. Can we expect results as good or even better? It seems like every year is evolving. In 2015, our best year, we had full support, structure and a plan to build a competitive hockey team – and we won the bronze medal. Last year things changed. Some of our best athletes could not go. We struggled to score and finished fourth. I did not have that much talent, but in many ways I think we’ve improved. This year we have made several recruitment’s and tried to convince some of the best players to go to Mexico. I am very confident in the list of athletes we are bringing in this year. The challenge is how fast we can become a team – it’s our next hurdle. We have only a few days to prepare. I’m very excited. I think we have a great chance of competing for gold. What are the main challenges for the advancement of ice hockey in Brazil? The biggest obstacles are infrastructure, organization and culture. We do not have ice to practice and train. If we had, even for a month, it would help a lot! We also have to be well organized to plan for the future. Brazil is hungry for something new in sports. Ice hockey can feed this hunger, but we have to start slow. We have to be patient, but at the same time keep spreading what we are already doing. What can ice hockey do to grow in the country? We must continue to share our history. We have a great documentary produced last season and we have to be successful when we play international matches. We get a lot of interest from people in the United States and Canada. Thus, aid from outside of the country will be the key. Besides, who knows even a Hollywood movie can be made about us? We only have one direction to go and it’s up! 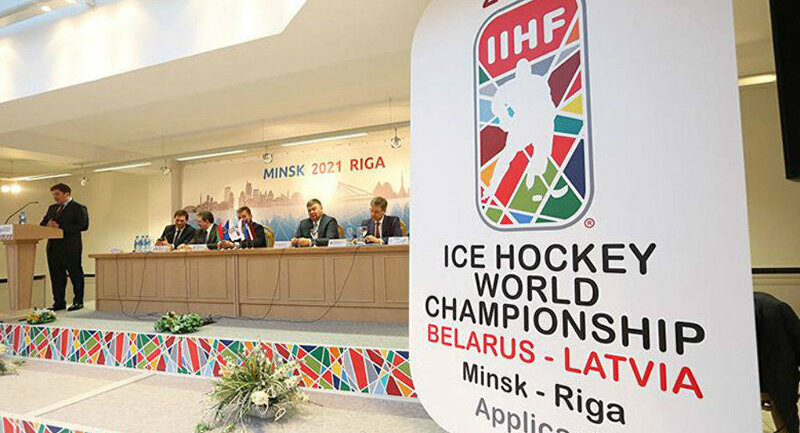 What are the main objectives in preparation for the Pan American Ice Hockey? Our focus will be on team play. Hockey is a great collective sport and we have to have everyone on the same page. Trust, responsibility, sacrifice, and work ethic: all of these components are crucial to successful teams. And, finally, train the brains of these players to think about ice hockey. It’s a different sport than inline and we have a very short time to prepare ourselves. Who are the main rivals for Brazil and what does our team need to do to beat them? I would say that Mexico’s U-20 team is our biggest rival. We had some great games against them last seasons. Of course, Argentina is also a great opponent. But we get better every year and I’m very proud to train these athletes. 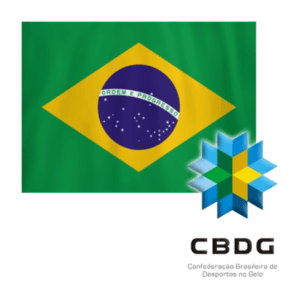 We hope to have the support of all Brazil! Team Canada put together a four-goal effort in the third period for a 4-2 comeback victory over Team Russia in semifinal action Saturday. The two sides were scoreless through the first 20 minutes, but goals by Evgeny Kuznetsov and Nikita Gusev helped Russia take a 2-0 lead into the final frame. Vadim Shipachyov, who recently signed with the Vegas Golden Knights, drew an assist on Gusev’s goal, marking his 13th point of the tournament. Canada got on the board just 17 seconds into the third with a goal from Winnipeg Jets center Mark Scheifele, who tipped a shot by Russian netminder Andrei Vasilevskiy. Colorado Avalanche forward Nathan MacKinnon drew an assist on Scheifele’s goal, then added a tally of his own from the slot with less than five minutes remaining in the third to bring the score to 2-2. Buffalo Sabres center Ryan O’Reilly completed the comeback just 1:51 later, registering his fifth goal of the tournament to put Canada ahead. The team would tally again, with Sean Couturier adding an empty-net goal. Canada will advance to the gold medal game to face the winner of Saturday’s match between Finland and Sweden. 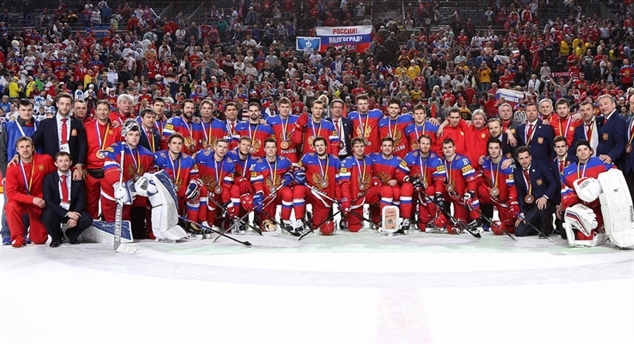 The country has won gold the past two years, defeating Russia in 2015 and Finland in 2016. 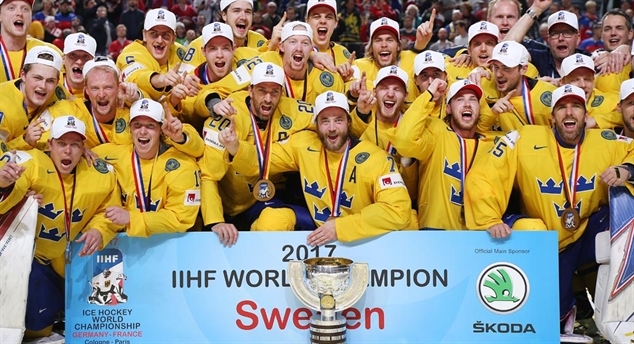 Sweden defeated rival Finland 4-1 on Saturday to advance to the gold medal game of the 2017 IIHF World Championship. The Swedes will battle Team Canada for international supremacy. Just 1:49 into the first period, Nicklas Backstrom‘s faceoff win was one-timed by defenseman Alex Edler past goaltender Harri Sateri to give Sweden an early lead. Three minutes later, Joonas Kemppainen pounced on a loose puck and pushed it by Henrik Lundqvist to tie things at 1-1, but that’s as close as Finland, who will take on Russia in the bronze medal match Sunday, would get. Sweden’s power play took over in the middle frame, with goals from John Klingberg and William Nylander, who leads the tournament with seven tallies in nine games and is tied for second with 14 points. Joakim Nordstrom added a fourth goal late in the third period, which was a suffocating 20 minutes from Sweden’s talented blue-liners, as the final shot count finished 41-23 in favor of Tre Kronor. Sweden hasn’t played for gold since 2013, when they defeated Switzerland on home soil. The Swedes and Canadians last met in the final in 2004, with Canada winning the title. Puck drop for the deciding game is set for 4:45 p.m. ET.